How Far is Subiksha Sai Villa? Sai Villa is the project of Subiksha Housing Private Limited. The project is located at Guindy Chennai (south). It spreads over 8096 sq.ft. 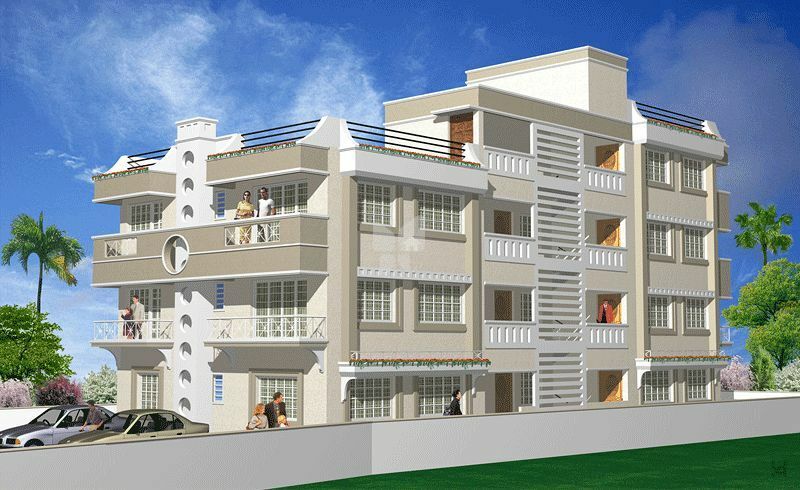 The project offers 1BHK and 2BHK apartments ranging from 600 sq.ft.-860 sq.ft. Sai Villa provides its residents all the modern day amenities. A foundation built on trust, discipline and foremost of all - commitment. Our standing structures are not merely a symbol of our pride but a mark of our commitment to our customers and to our conscience. Subiksha Housing was born in the year 1999. High impetus on quality construction, Timely completion and customer satisfaction has assisted the Group in its spectacular metamorphosis from a small beginning into a leading force in this field in India within a short span. Constructions primarily range from apartments and flats for residential and commercial purpose. Subhiksha Housing has created some exquisite projects for it esteemed customers such as Seethalakshmi one of the ready to occupy projects by Subiksha Hosuing which offers ready to occupy 2BHK’s and spacious 3BHK’s for sale in Kilapuk, Chennai. Developed in one of the amazing localities of chennai, Subhiksha Eastwood one of the villa project by the builder offers ready to occupy spacious 3BHK villas for sale in Choolaimedu, Chennai. Also, Subhiksha Sai Krupa an apartment project by the builder being developed to satisfy compact home seekers is available with ready to occupy 2BHK apartments for sale in Royapettah, Chennai. Since inception, the Group has always strived to give the customer the best in quality. However small the job, we take utmost care in offering quality Construction to our Customers. The Promoters of Subiksha Housing are having expertise and knowledge in the field of construction activity for 25 years. We have a very skilled structural division which is been maintained by Mr. Alex Jacob, leading Structural Engineer in India. We have reputed Architects to design and modulate. We at Subiksha invite and challenge our customers to dream. Numerous dreams stand true at various locations in Chennai bringing a smile of contentment to our clients and to us - the translators of these variegated dreams in stone, cement and marble. Subiksha Housing guarantees and protects customer interests in terms of quality Construction and gives reasons in abundance to cherish the customer’s right decision for years to come. The main motto of Subiksha Housing is to design and provide a perfect and comfortable dwelling place to our customers. The company with its motto of quality and timely completion has grown at a rapid pace and is today acclaimed as a major force to reckon with in the field of construction in India. We have proved without a doubt that investment in us is a true value for money.